If you are pregnant and want to hear the baby's heart beat, please choose the 3Mhz or 2mhz probe. a manual mode that allows the user to view a fetal heart rate for a 5 or 10 heart beat period, giving you a calculated measurement with a press of a button. 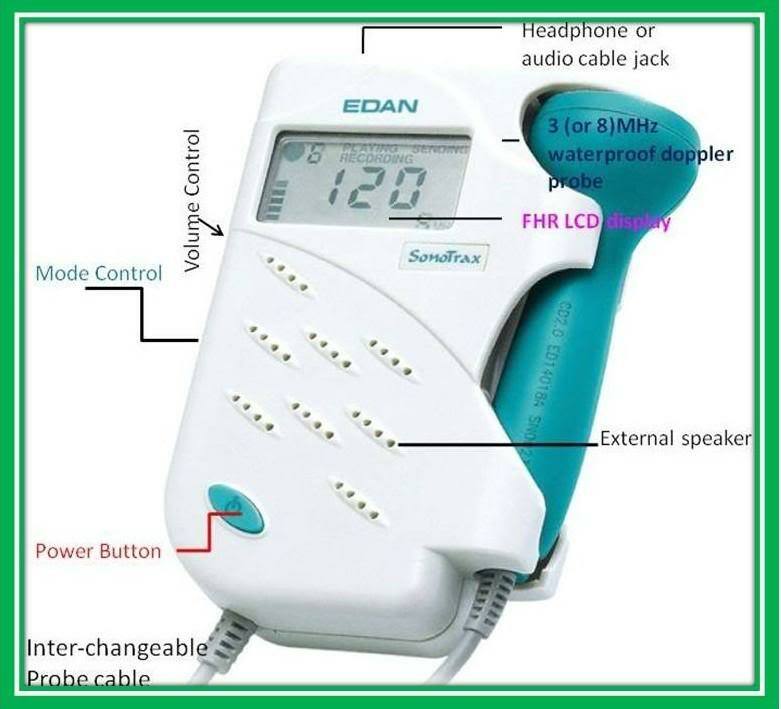 This Fetal Doppler provides basic features with an LCD screen displaying the FHR, battery indicator, probe type, and different display modes. This waterproof probe provides better ultrasounds of fetal heart beat and allows use in water up to 3 feet for up to 5 hours. The Doppler unit, however, cannot be immerged in water. The Low Battery indicator provides a full battery icon that indicates full battery levels and decreases slowly after so many uses. A visual and auditory warning will alarm when the battery needs to be changed and then proceeds to automatic shut off. The 2.0MHz probe was designed to accommodate late term and obese pregnancies since it works best at 10 cm and larger depths. A 3.0MHz is more sensitive than a 2 Mhz probe and can pick up baby's heartbeat as early as 8-10 weeks gestation. The 4.0MHz & 8.0MHz is utilized for vascular monitoring, and the 8MHz is used for superficial vascular monitoring.